Flags in all sizes, from XXL to XS, banners big and small, for advertising, celebrations, social events, companies and private. Choose from a variety of standard sizes or order custom size flags. National, State and or special flags are also available as small flags, table banners and table flags. It’s worth to order Vispronet® flags considering their longer durability in comparison to other available brands. All flags and fabric banners are manufactured environment friendly and tested according to Standard Oeko Tex® 100 certification. Our printing company Vispronet® offers flags in various sizes and designs. Flags are one of the best means to highlight advertising. At Vispronet® you can choose between different standard formats or create completely individual and suitable to your needs. From classic hoist flag for a flagpole to numerous other products which allow for flexible design of your advertisement and promotion requirements. Take a look at the popular car flags, fancy street banners and giant banners that can be produced in our online textile printing shop. The numerous possibilities offer your company a boundless presentation variety and creative ideas. Flags are especially enjoyed by clubs. During tournaments and festivals you can easily recognize colours of your own club. For some ceremonial occasions such as weddings, a trendy car flags can be printed. The small flags with custom design from Vispronet® could offer a very special charm to your wedding colonnade. You do not have to be a professional with special training if you wish to design yourself flags or banners at Vispronet®. You do not even have to hire a specialist to assist you. With the free design tool Visprodesign® you can design your own flagstrong> with just a few clicks. Birthday parties or camping trips receive a very individual flair when self-designed flags are used. Select your favorite motif from numerous templates or clipart and combine it with your own photos, logos and lettering. You can upload your own design and add to our graphics or use a blank banner template and make it the way you wish. 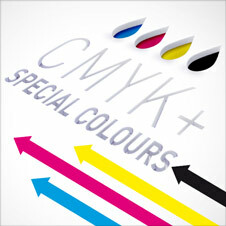 Both the colour selections as well as the images are of no limitation to your creative ideas. In Visprodesign® not only flags can be designed but also Bowflag®, Roll Up Banner or complete exhibition walls. You save yourself the extra cost of an expensive graphic artist and simply design your own advertisement. The wide range of flags and fabric banners includes not only individual creations but also many standard flags. You will find representative country and national flags in various designs and combinations. As a table flag for your office, an ordinary hoist flag or a practical small banner for the wall. Many already know how it feels when the soccer season fever starts. It is important then to take initiative and to show a club flag in the garden or on the patio. In our shop you can also find national flags in excellent quality. This way you can express support for your national team. If you wish to buy another well-known international flag, UN, NATO etc. you will be most likely able to find these in our Vispronet® shop. Vispronet® offers you flags made of versatile and durable materials which are suitable for different applications and budgets. Our flags are printed in radiant colours and with maximum lightness. Both flag sides display equally brilliant print. Many companies, public institutions or even sports clubs like to show flag in front of their headquarters or the club building. In our online shop you can also find a large selection of flagpoles in different designs and heights matching your needs. For an expedient delivery we offer an overnight shipping of your order. If the ordered quantity of your banners does not exceed a certain number, we are technically able to print and send each of your orders within one working day. The graphic files of your banners and flags need to be uploaded to our servers latest at 09.00 am for the order to be complete. Whether an advertising medium or a representative decoration for events and celebrations. Flags are elegant and representative elements for different associations, organizations and companies. Big flags for outdoor use are striking and widely visible to visitors and passers-by. Small flags decorate premises of clubs and associations in a suitable and traditional way. At Vispronet® you can find a variety of different flags which can be used for numerous purposes. You can also find out which flags are suitable for which areas, what you should consider when choosing your flags and how you can easily print a flag according to your personal requirements. Printed flags can be used indoor as an attractive decoration or outdoor as a representative symbol. The flags must endure different type of environment and use. Especially flags intended for outdoors. For example in the case of club or company buildings, they should also be able to withstand stronger environmental influences. The hoist flags for outdoor use should withstand different weather conditions and light exposure. This is why the processing of high-quality materials and a constant print quality is of paramount importance. At Vispronet® you can print your flags for outdoors which will not fade in the sun and withstand the weather strain. For interior different flag suspensions are used. These include for example high quality wooden poles, flagpoles, cords or suction cups. At Vispronet® all promotional or club flags are custom-made. Depending on the application the flags come with different finish and various basic materials. Flags raised at masts have a long tradition. They are also visible to the eye from afar. This way a particular building or terrain is marked and highlighted standing out from surrounding landscape. Anyone who wishes to print such flags is often confronted with the question of the flag size in relation to the flagpole as there are no strict rules or guides to follow. However, it makes sense to follow certain recommendations. In the case of horizontal flags the length to width ratio plays a very important role regardless of the flagpole. This can be for example 5:3 or 3:2. The flag looks particularly elegant when the span length of the flag corresponds to about a third of the mast height. For flags in vertical format, the flag height should be around half the height of the mast. Sometimes flags have a very specific appearance depending on the needs of club or organization. For those who wish to independently create their custom made flags we have available our own free design tool at Vispronet®. With Visprodesign® you can design your flag exactly the way you wish without the need of having graphic design knowledge. During configuration you will be able to use an extensive assortment of design templates, pictures and clipart which you can combine with your own photos, texts and pictures. Additionally, you have the option to upload already prepared print data of your very individual design during the order process. How quickly can I have the flags printed? At Vispronet® we have very good news for our customers when it comes to expediency of processing individual orders. With our assortment diversity currently we offer one of the fastest delivery times on the market. You have the possibility to choose between different delivery times depending on the product, printing process and number of pieces. An express or overnight delivery is possible with almost all flag designs. It should be taken into account that only one delivery time. is possible per order. If you order more than one article at a time, then the delivery time depends on the longest delivery time of the products in your shopping cart. However, if you still wish an overnight or express delivery you can create several different orders. You will find detailed information pertaining to delivery date on the corresponding product page.